This is an easy, quick and tasty recipe to make. Similar to my recipe No-Flour Pan Fried Pork Chop, Gravy and Vegetables, well-seasoned chicken breast tenderloins are pan fried in oil and butter. The vegetables include onions, garlic and celery which were first sauteed in the oil and butter. Canned creamed celery soup provides the gravy which is given additional flavors from whip cream. 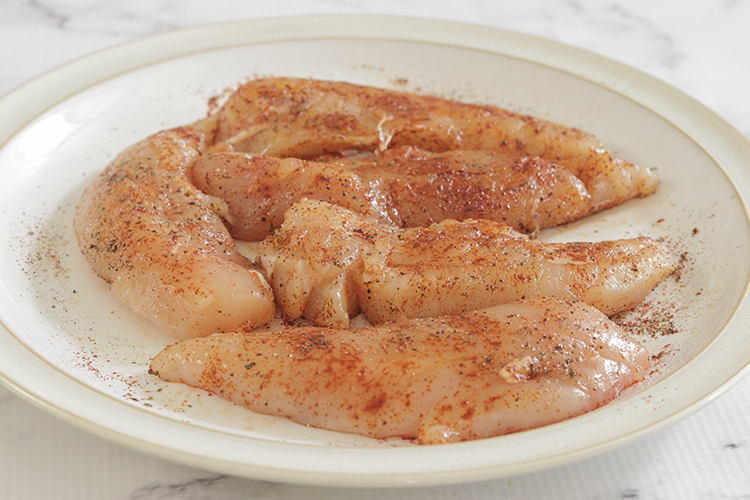 Chicken breast tenderloins are heavily seasoned with salt, pepper and paprika. The sauteed chicken breast tenderloins are delicious even after being sauteed and can make great sandwiches. In a sauce pan over medium high heat, melt butter in the olive oil. Sautee onions and celery until slightly tender, about 5 minutes. Push vegetables to the side of the sauce pan, add garlic and cook for about 30 seconds, until slightly brown. Mix ingredients and remove from the pan, making sure to drain away as much as possible the butter and oil. 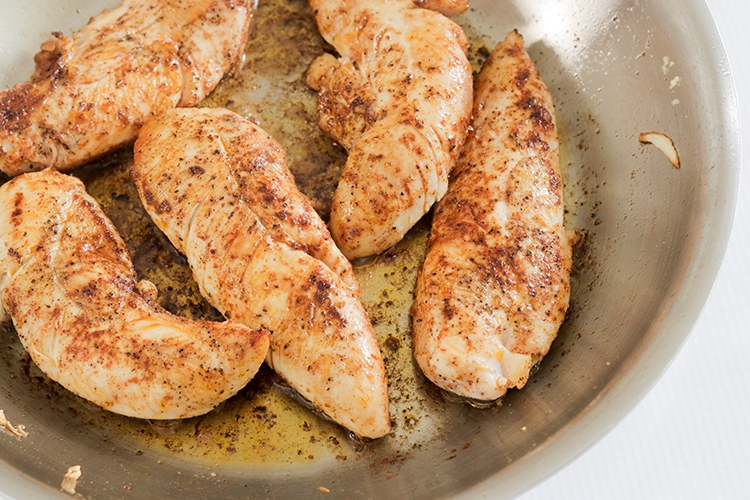 Add chicken breast tenderloins to the hot butter and oil. Brown on one side for 2 minutes. Turn tenderloins over and brown for 2 minutes. Remove tenderloins to a warm plate. Scrape bottom of sauce pan and stir in cream of celery soup. Stir in milk (or white wine). Reduce heat, stir in vegetables and simmer for about 3-5 minutes. 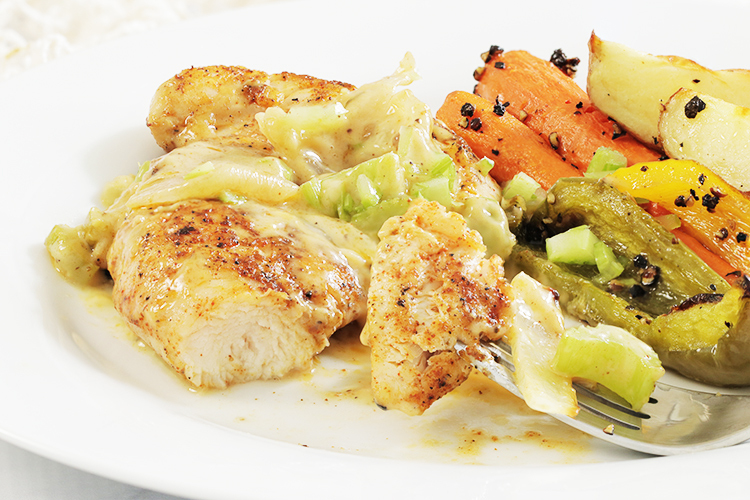 Return the chicken breast tenderloin to the celery and vegetable gravy. Cook for about 3 minutes long enough so that chicken is nice and hot. Also, test that chicken is done but tender--not dry and tough! Cooking note: I served this with roasted vegetable. 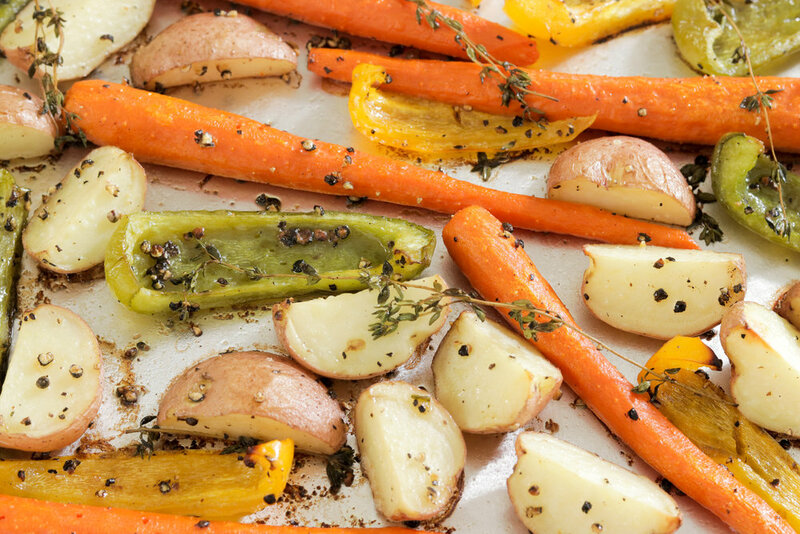 See recipe Roasted Vegetables With Thyme. But other options include rice, slices of a good bread, even flat noodles.